What-d-ya do when it's too hot to garden? Whew! It's been a long hot summer. Maybe some of your are getting a break (and I hate you if you are), but we're still in the death grip of record heat indexes. It started early, but hopefully it won't stay late. With the heat and it's adverse affect on our vegetable container garden , we were forced to think about how to keep our container garden pots cool. And, with all the heat and the thinking, I have developed a major headache. But I will proceed none the less. Those of you who live in the most northern parts of the country probably don't have this problem. Although, this year, it seems the whole world is cookin'. We, however, must deal with the hot sun at the beginning, the end, and the middle of our growing seasons. With this in mind, ol' Bill has been doing some checking. He's working out some improvements on our self-watering system and looking for ways to keep our potting soil, the water, and the plant roots cooler during the heat. During his research online, he came across a site, Easiest Garden . This guy has worked out a neat way to supply the self-watering container garden with water is such a way as to be truly self-watering. And Bill also ran across another idea (I have to grab him to find out who/what/where) that we are trying out to keep the garden pots and the watering containers cooler. 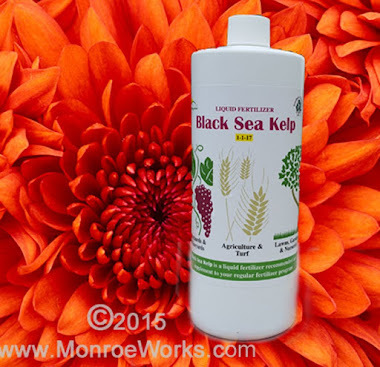 The self-watering container garden is an improvement on the simple container garden for growing vegetables. With self-watering containers, the plant is constantly supplied with water and the roots never dry out. 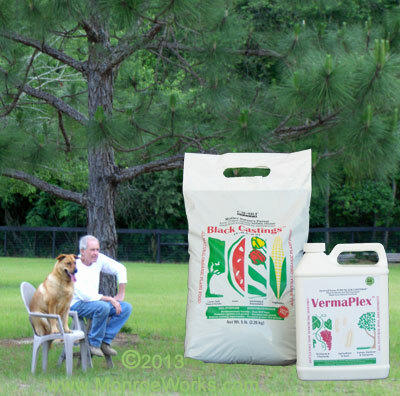 It's also handy to add liquid fertilizer, like VermaPlex® , to the water. The problem remains, however, that you must still add the water on a daily basis, because the reservoirs only hold so much water. This problem becomes more pronounced as the plants grow larger. You are still tied to your container garden, especially when the weather becomes warmer, and the constant watering can become...well.... tiresome. What to do? This gentleman has plans for building a system very similar to the constant-watering troughs that are used for horses. A hose from the water source is fed into a bucket with a float (kinda like the toilet) that allows water to enter whenever the level reaches your chosen point. Brilliant. Whatever the weather, whatever the water demands of a particular vegetable may be, the water is always there without constant attention required by you. The trick is in establishing the correct level and setting up the control bucket feeding from a 55 gallon drum. I will describe our efforts to set up this watering system in the coming entries. And The Over-Heated Container Pots? 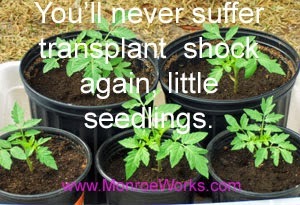 For insulating the soil and roots, foil insulation, available from Lowe's, wraps easily around the containers. It may not be pretty, but - hey - what do you want? Beautiful or delicious? We also plan to use the foil to wrap the control bucket that feeds the water into each container. This system requires a certain about of time to set up, but, in the end, it saves tons and tons of time spent watering or worrying that the water in the reservoir has run dry. I believe it's well worth the initial investment of time and money. More tomorrow. Meanwhile, how are you dealing with your vegetable container garden? Your comments are welcomed here. Self-Watering Container Garden : The beginning of our container garden. 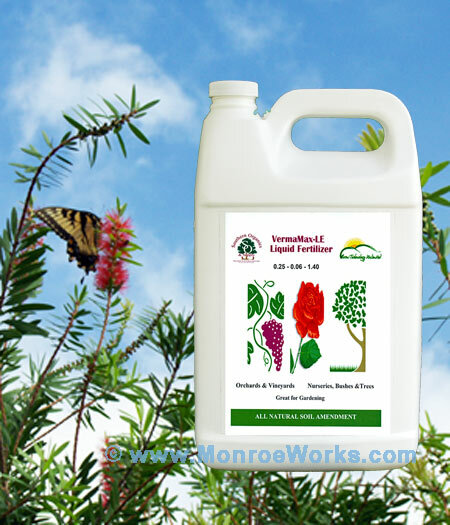 Organic Fertilizer From Earthworms : The only fertilizers we use. 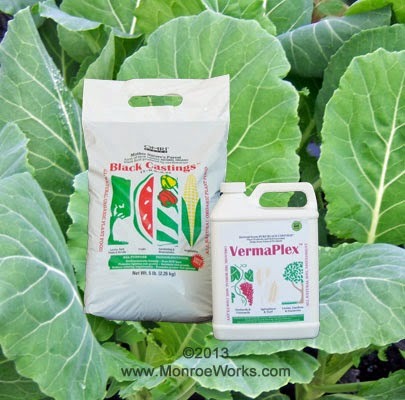 Composting Red Worms : Make your own fertilizers by verimcomposting.